SONAR Professional complements a wealth of advanced features with a full set of professional effects and virtual instruments, including the acclaimed ProChannel Console Strip, Melodyne Essential with ARA integration, and Addictive Drums 2 Solo Edition. Move effortlessly through the award-winning, touch-enabled Skylight User Interface as you create—then take advantage of the comprehensive editing, mixing, mastering, and publishing tools to craft your masterpiece. 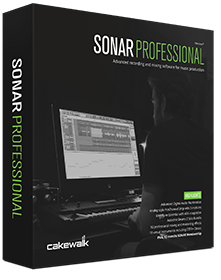 Buy SONAR Professional online from the Steam Store.